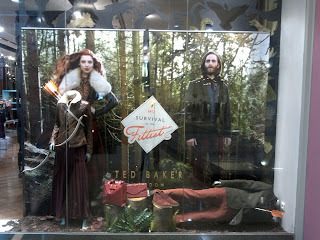 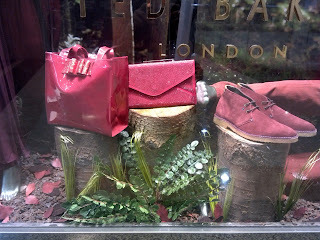 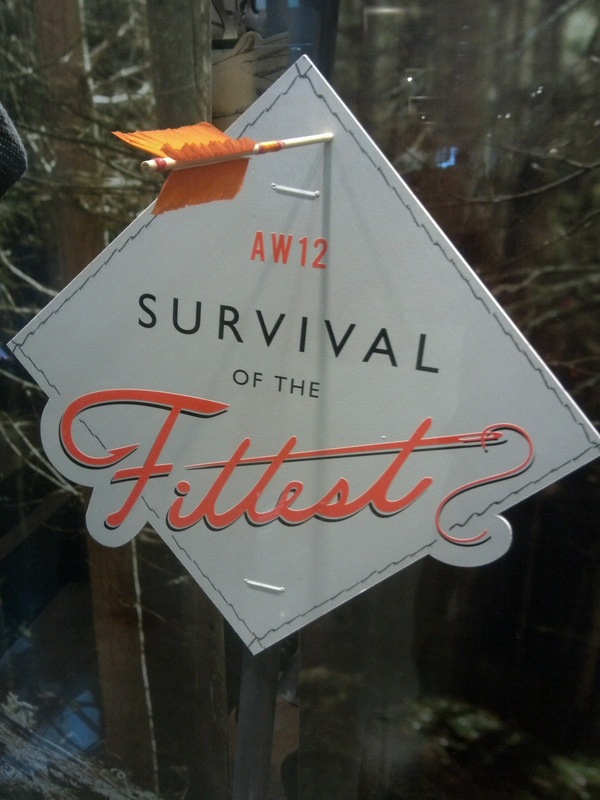 Survival of the Fittest is the theme for Ted Baker's Autumn Winter 2012 collection. 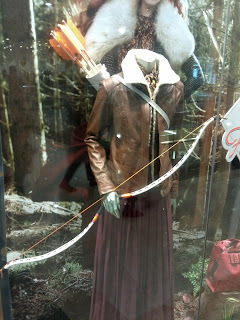 Both on the advertising image and the display presents a hunting game in the forest where a girl dressed in a fabulous leather jacket appears as a keen hunter with a set of arch and arrows. 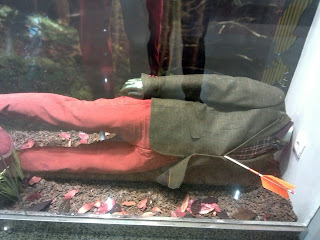 The different is found at the display where the male mannequins is finally shot by the female one and it drops on the ground. The set of this display is a vivid portrait of a forest with falling leaves, wild plants, and some wood blocks to display the accessories collection.